THE Ryanair cabin crew who ‘slept on the floor’ in Malaga airport have been sacked by the airline for gross misconduct. When the crew’s flight to Porto was diverted from Malaga on October 14, a shocking picture appeared to show the crew asleep on the floor while they waited. 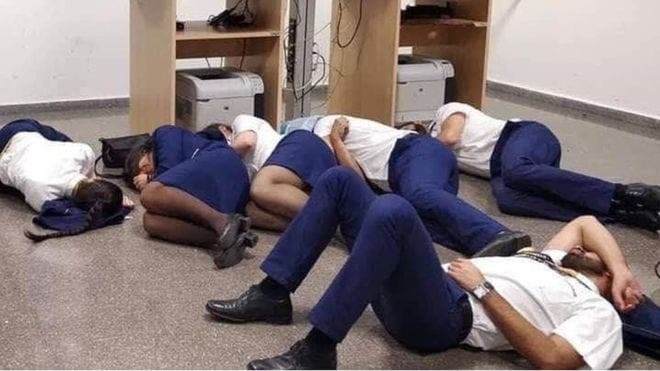 At least 20 crew members were stranded in the airport when their plane left, but the six staff who were pictured lying on the floor ‘asleep’ have now been given their marching orders by Ryanair. A Ryanair spokesman said: “The crew spent a short period of time in the crew room before being moved to a VIP lounge, and returned to Porto the next day. As Ryanair made the sackings on Tuesday, they claimed the picture’s circulation in the media had damaged their reputation and ’caused an irreparable breach of trust with these six persons’. When the picture emerged the Portuguese union, SNPVAC said crew were ‘without access to food, drinks and even a place to sit down, as there were only eight seats available for the crew’. 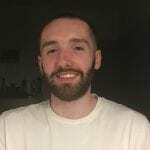 The multiple sackings come just weeks after two Ryanair planes nearly crashed over Spain, as they were only 122 meters apart vertically. Now you know how the passengers feel when we are delayed!!! !